Two days before his Sept. 15 record release show at The North Door, Ray Prim and I sat in the courtyard of Genuine Joe Coffeehouse and laughed for 90 minutes. We talked about everything. The music business, his shoulder surgery, and the challenges in finding a quality cello player. Grinding out life and dreaming big. Spend more than five minutes with Prim, and he’s guaranteed to make you smile. The same goes for his music. 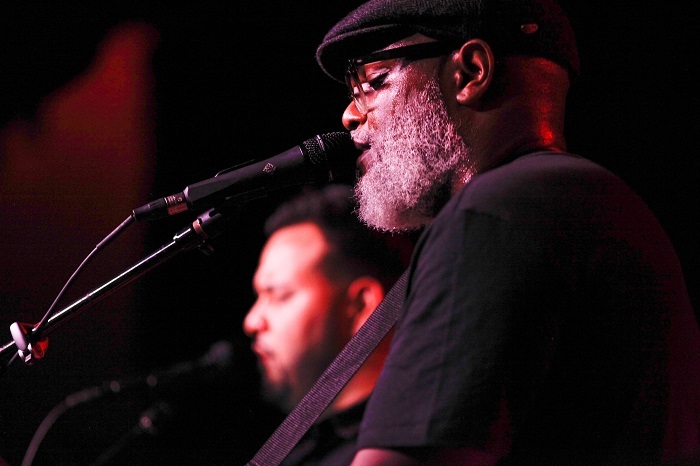 With a soulful voice, layered instrumentation, and a sound that celebrates the life we live and the people we wish to be, Ray Prim is an affirmation of all that’s right with Austin music. In a world of mega-festivals, greedy labels, and a stifling sense of same-ness, Ray Prim’s exuberant and honest music is something to be savored. Ray Prim isn’t a newbie to the Austin music scene. In fact, he’s been gigging around town since 1995. After forming rock-centric bands like 7 Stones and Primm (double m on purpose), Prim continued to search for his defining sound. After years of searching, inspiration came in an unlikely place. Over the next year, through connections, contacts, and Craigslist ads, Prim assembled his current roster. But the grind of day in, day out touring and gigging began to take its toll. He almost decided to call it quits until a chance meeting with a Black Fret member changed everything. Apart from two songs (an interlude and “I Promise”), half of Prim’s massive 20-song set was comprised of tunes from the new record. The album is a lush, complex collection of sounds and instrumentation bound together by pitch perfect harmony and R&B groove. The evening opened with the album’s title track, “To Whom it May Concern.” According to Prim, this is the song that defines the band’s core sound. It begins with a brooding, haunting intro that bursts into Prim and co-vocalist Mexican Chocolate’s stunning harmony. The song pulses with the defiance and sense of self-worth required to pave a new path. 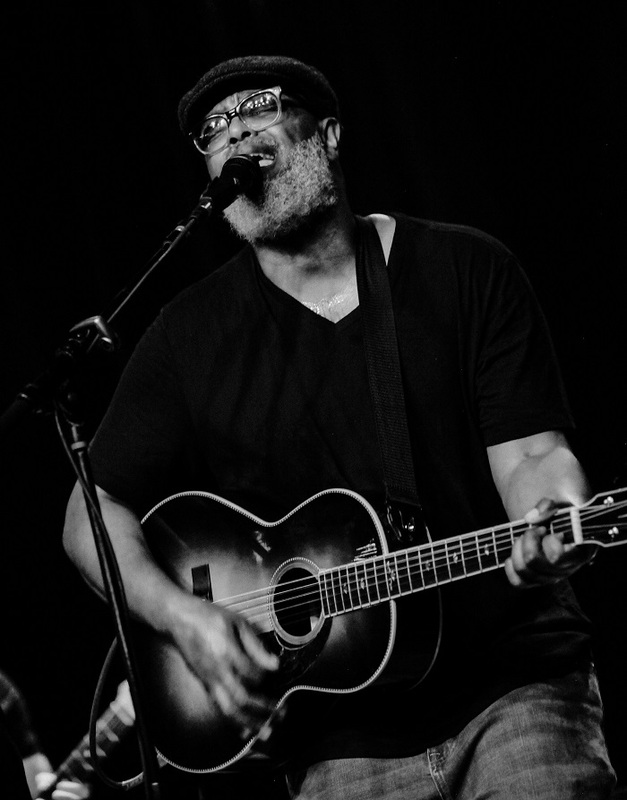 Other highlights from the new record include “Hey,” a smooth, violin-forward tune about tenderly saying goodbye to a love gone cold, and the three-part harmony ebb and flow of “Stormy Haze.” Like any good soul band, lots of instruments are at play during the album, and that’s exactly how Ray Prim likes it. The new album is bursting with ear candy. Mandolin and violin parts pepper “Since ‘88,” while “Moving On Up” opens with strings straight from a symphony before launching into an Al Green jam session, complete with brass section. Unless my ears deceived me, I could have sworn I heard a didgeridoo somewhere. Dozens of tiny parts create a full, rich sound that invites repeated listens. But the show wasn’t all new music. Old favorites and classics were sprinkled throughout the set. “Up and Down” off 2012’s “Five” is a body-moving jam of epic proportions. The sly and dangerous “Something Borrowed” harkens back to Prim’s rock and roll past. Halfway through the set, the bulk of the band departed, leaving four string players, Prim, and Mexican Chocolate on stage. Midway through this “unplugged” session, Austin songwriter extraordinaire Suzanna Choffel joined Prim for a stirring rendition of “No Need.” Telling the story of two lovers parting ways, Prim and Choffel’s call and response chemistry was stunning. As the clock ticked slowly towards 11 p.m., the show loosened up. Prim’s guitar refused to tune; the politely seated crowd began to shout and rush the stage. 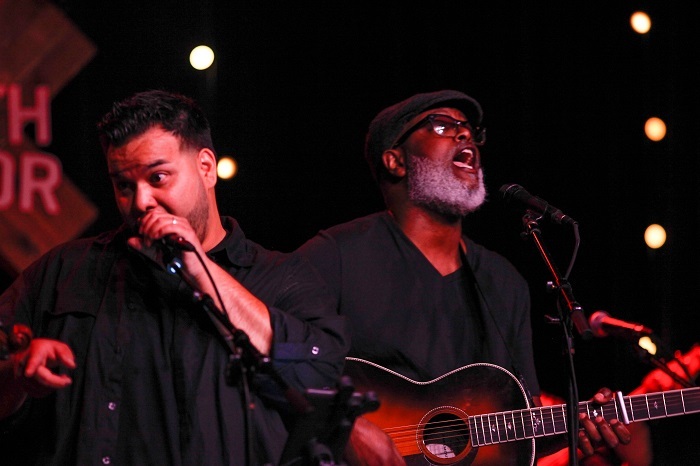 After performing fan favorite “Barcelona,” Prim and the band let loose with a rollicking rendition of “Your Religion.” Prim ditched his finicky guitar and attacked the mic with a soul man’s strut. After nearly two hours of music, both the crowd, and Prim, were ready for more. When I saw Ray Prim play the Scottish Rite Theater two years ago, I knew something special was brewing. Two years later, his sound has blossomed into a force to be reckoned with. 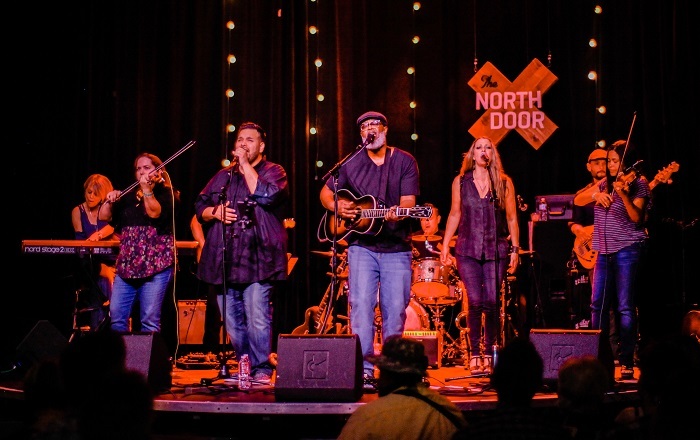 A satisfying blend of vocal harmonies, musical ear candy, and pure groove, Ray Prim is poised to be Austin’s next big thing. Couldn’t have happened to a nicer guy who absolutely loves to laugh. What’s your favorite Ray Prim song?